Salad isn't very exciting—and neither is salad dressing. You're either eating rabbit fodder drenched in a too-sour vinaigrette or too-heavy, leaf-wilting dressing like Thousand Island or French. 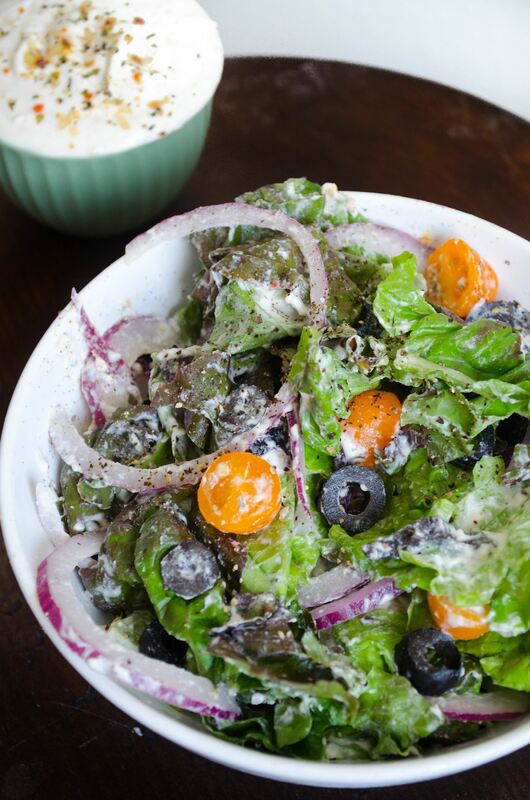 However, thanks to the expertise of Roy Finamore, author of Tasty: Get Great Food on the Table Every Day, and David Tamarkin of Epicurious, you now have a third, amazing option that will change up your salad routine forever: whipped cream salad dressing. Believe me, I know it sounds crazy at first—like some terrible mishmash of appetizer and dessert gone wrong—but not only is this crazy new dressing good, it's both easy to make and addictive, which is a dangerous combination. Vinaigrettes are light, and this lightness keeps the salad crisp; but more often than not, they end up in a pool of liquid at the bottom of your salad. And regular creamy dressings weigh leaves down—if you don't eat it quickly, your salad will turn into a nasty slaw. However, the whipped cream dressing clings tightly to the greens without being overly heavy. You get the best of both worlds: lots of flavor with crisp leaves. Combine that with the lighter-than-air texture and smooth, creamy mouthfeel and... honestly, I'm not sure why you haven't left for the store to buy some cream, already. 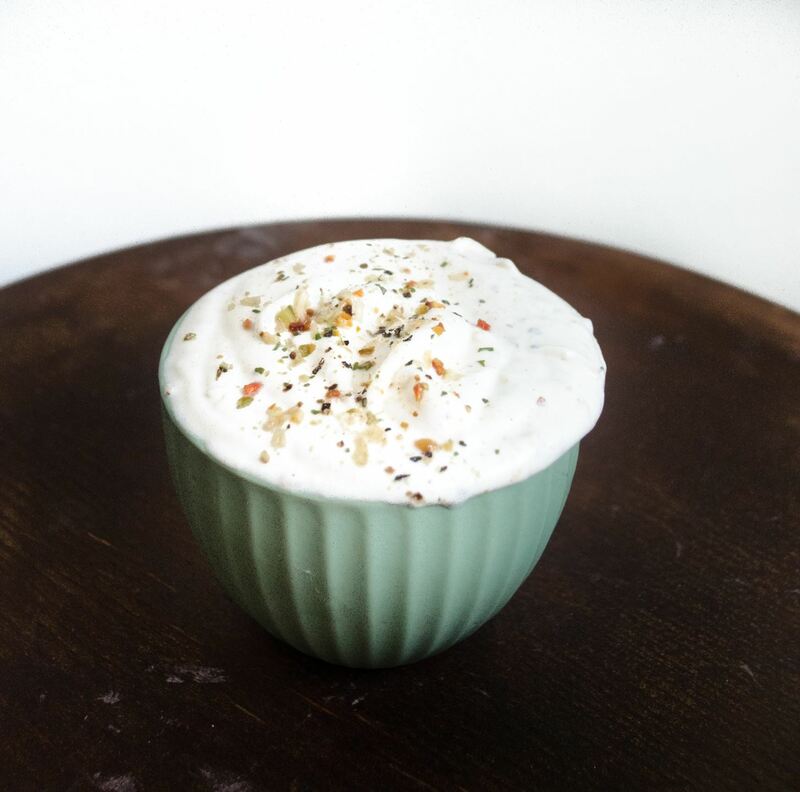 Whipped cream can be used as a base for your favorite dressing flavors: you can make your own delicious whipped cream take on classics like ranch, Thousand Island, or honey mustard, or just invent your own dressing. For example, Tamarkin of Epicurious chose to make a pesto dressing by folding pesto into whipped cream. Whipped cream salad dressing is made by combining seasonings and an acidic component, like vinegar, to cream that has been lightly whipped up to soft peaks. I'll be showing you the basic steps by using my recipe for creamy Italian dressing, but as I mentioned earlier, the flavors are completely up to you and your personal tastes. Definitely play around with the ratios to create the amount of impact you want in your salad, especially if you decide to use a liquid-based ingredient such as pesto. 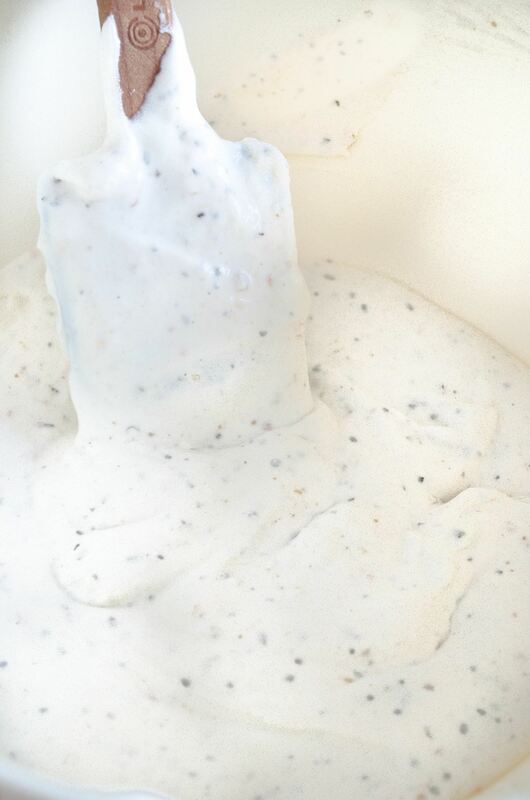 Whipped cream salad dressing uses whipping cream that is whipped up to soft peak stage. You know you've achieved soft peaks when you lift your whisk up and the cream barely holds onto the wire. 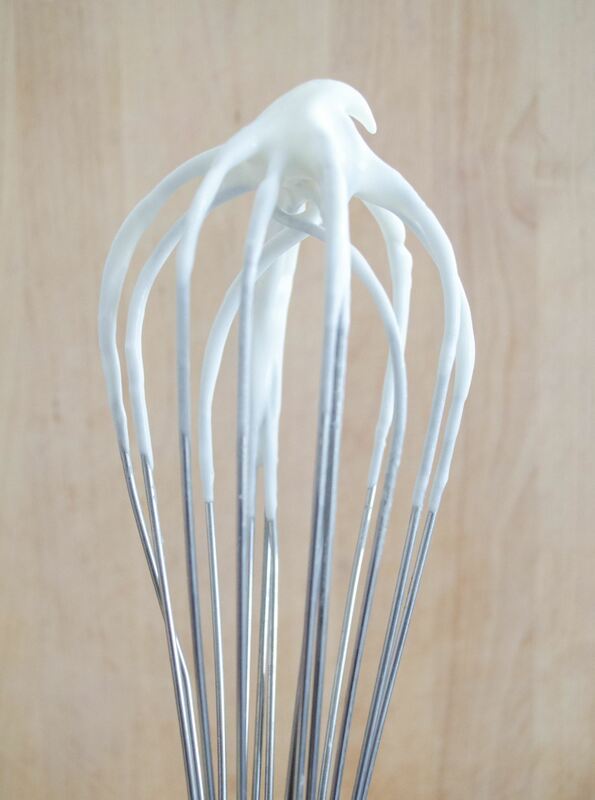 If you turn the whisk upright after whipping the cream, the cream will curve over to one side (as shown below). Stiff peak cream, on the other hand, will stay stiff at the tip of the whisk and will not curve over. 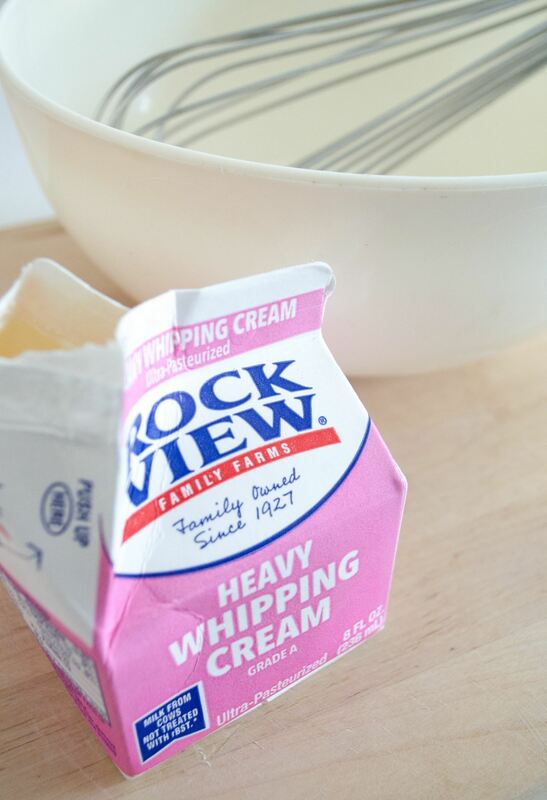 For those of us who get carried away whipping, you can fix cream that is too stiff by gently folding in additional liquid cream. All dressings usually have an acidic component to create a sharp and balanced flavor. The amount of vinegar you add will depend on your tolerance to acidity and the percentage of acidity in the vinegar. The higher the percentage, the less vinegar you will need to add. Start by folding a splash of vinegar to your whipped cream. Then, do a taste test to see if you want to add more. 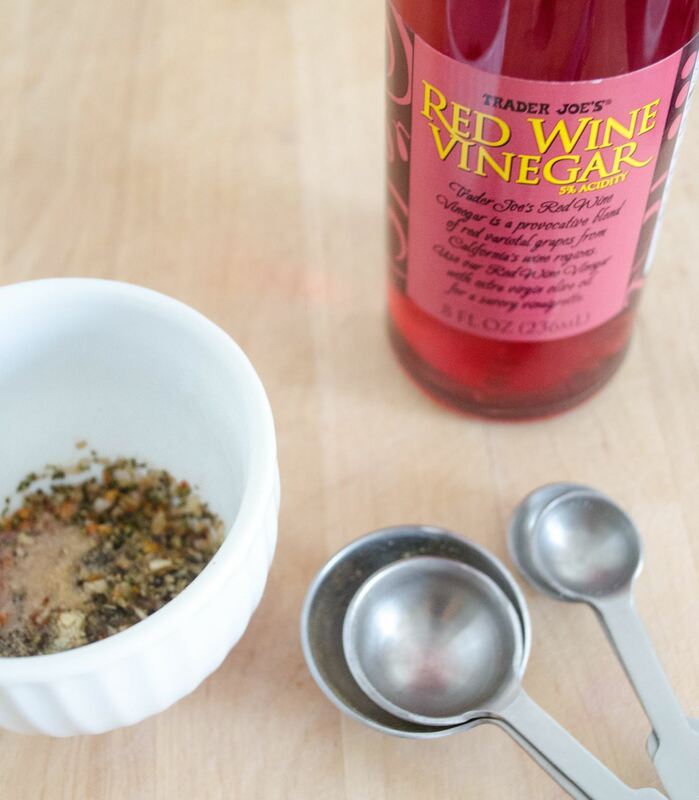 I used red wine vinegar, which has 3% acidity—much milder than your household white vinegar, and a good place to start if you're trying to create your own dressing flavor. Lemon juice is another good source of acidity for dressings, and adds a bright hint of citrus as well. Next, combine the spices you've chosen to use together in a small bowl. 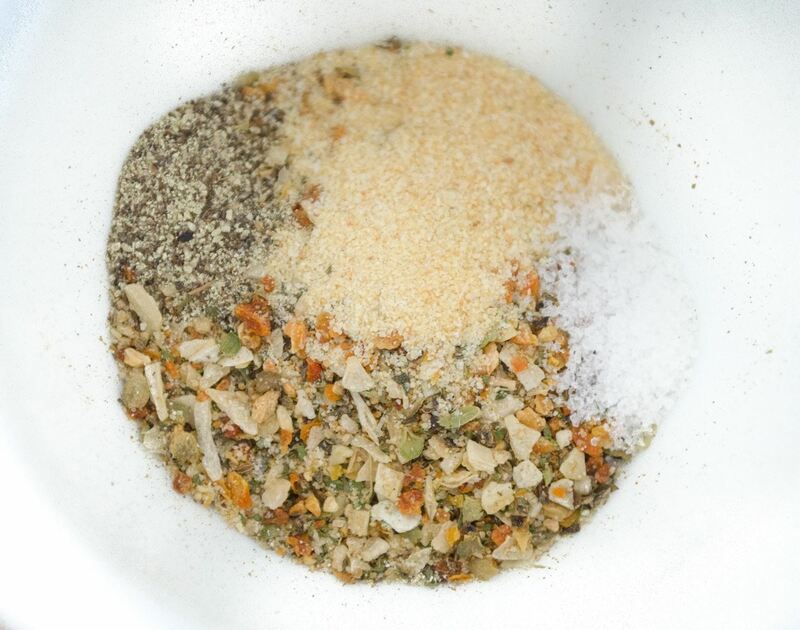 I'm using 2 tablespoons total of Italian seasoning, garlic powder, salt, and pepper together. Then, fold your seasonings into the dressing. I know I've already said it twice, but it's really important that you gently fold in the the spices and vinegar—you can use a spoon, but I recommend a rubber spatula if you have one. Be sure to avoid using a stirring motion; it will cause your whipped cream to deflate. 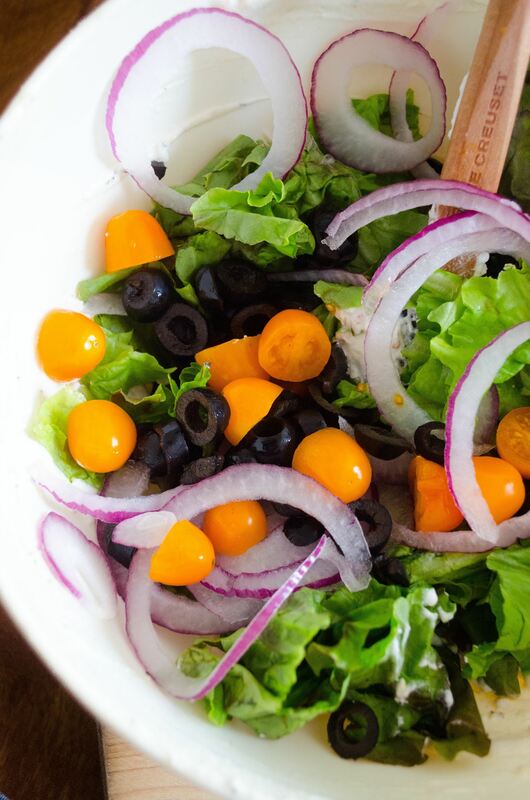 It's important to make sure that the ingredients in your salad compliment the dressing you've chosen to make. Simple, herbaceous dressings like Italian and ranch tend to go well with mild and sweet lettuces like Bibb, romaine, and butter. On the other hand, salad dressings that pack a flavor punch like pesto, honey mustard, and roasted red pepper tend to go better with bitter greens such as arugula, kale, and endive. The Italian dressing I made features herbs like oregano, thyme, basil, rosemary, and sage. 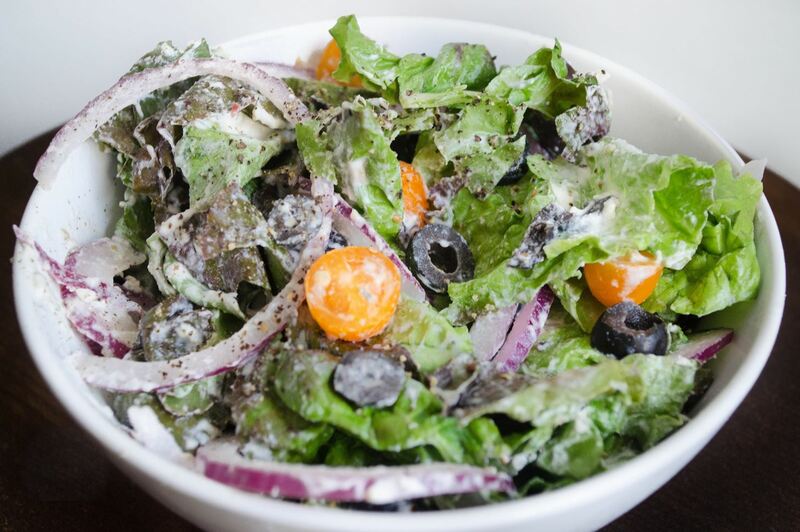 Therefore, I paired it with romaine lettuce, red onion, cherry tomatoes, and black olives—a simple, but sweet set of veggies that go well with Italian flavors. And now, for the best part of any recipe: the part that involves you eating everything in your path. Just add however much dressing you prefer on your salad, toss lightly, and dig in! These fluffy and rich whipped cream dressings are a clever, flavor-packed substitute for your boring old mayonnaise—especially in mayo-based salads. You can try lathering up your potato salad with a dill- and garlic-spiced whipped cream dressing. For your next batch of macaroni salad, stir some chopped celery and shallots into a Dijon mustard whipped cream dressing... and never go back to using mayo ever again. And just like some of the more prolific creamy dressings (I'm looking at you, ranch), you can use whipped cream dressings as a dip, too. Imagine a creamy dill-flavored dip with cucumber and carrot sticks for a light snack... or a whipped cream dressing mixed with capers as a dip for your fish and chips! Whipped cream salad dressing is tangy and sharp in all the right ways—while still being light as air. It may sound like crazy talk to use lightly-whipped cream in a savory setting, but one crisp bite of dressed salad will silence your doubts (and the haters, if you decide to share this dreamy dressing with others). But I'm warning you: you'll have a hard time going back to the heavy, boring bottles of dressing once you get hooked on the whipped stuff! Make this fabulous concoction in your own kitchen, then let us know how it turned out—and what flavors you've created—in the comments section below.